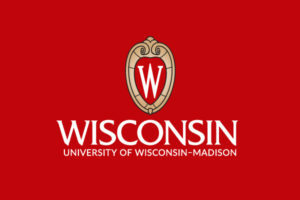 The University of Wisconsin-Madison appears in our ranking of the Top 50 Master’s in Computer Science Degree Programs. The University of Wisconsin-Madison offers a wide variety of degree opportunities for students interested in pursuing a career in computer science. undergraduates can pursue a certificate in computer science to enhance other undergraduate degrees. This program is available for undergraduates who are not pursuing a computer science degree at UW-Madison yet want to have collateral education. Traditional on-campus undergraduate computer science degrees are offered as a bachelor of arts or a bachelor of science degree distinction. Among the subjects covered are computer architecture and graphics, security, networks, databases programming languages, operating system, software, and wireless systems. The designation between the arts and the science degree designation is achieved primarily through the concentration of collateral coursework. The school provides a traditional Master of Science and Doctor of Philosophy in Computer Science program. After one year of graduate study, students can switch to the Professional Master Program instead of continuing on the Ph.D. research track. In addition, the University also offers non-degree graduate programs for professionals who have earned a bachelor’s degree in other fields. These are the Professional Capstone Certificate Program for students interested in applying for software developer jobs and the User Experience Design Capstone Certificate to plan, design, and assess digital user experiences via digital applications and media. The Capstone Certificate is offered entirely online. The University of Wisconsin-Madison does not offer bachelor, master of doctorate degrees in computer science online. Founded in 1848, the University of Wisconsin is a land-grant university that has a reputation for prolific research. The Madison campus spends $1.2 billion annually in research and has produced 39 Pulitzer prize winners in its more than 170 years of operation. It is the flagship campus of the University of Wisconsin educational system and remains the largest public university in Wisconsin, with a total undergraduate enrollment of 30, 360 and graduate enrollment of 8,962. The Madison campus is ranked 12th among public universities and 46th overall by the latest edition of U.S. News and World Report’s latest edition of “America’s Best Colleges.” The University of Wisconsin-Madison is known for its outstanding educational offerings in a number of majors, including biology, economics, finance, and psychology, in addition to computer and information sciences. UW-Madison is also well known for its research and innovations. It maintains nearly 100 research programs and centers in wide-ranging fields that include stem cell research, internal combustion engines, studies on lethal viruses such as Ebola and West Nile, along with programs devoted to many different areas of agriculture. The Higher Learning Commission has granted the University of Wisconsin-Madison institutional accreditation continuously since 1913. The Commission last reviewed the UW-Madison as a whole in late March 2019. The Accreditation Board for Engineering and Technology (ABET), provides accreditation for all of UW-Madison’s computer science degrees. The organization’s Computing Sciences Accreditation Board (CSAB), is responsible for granting accreditations to university computer science programs. Undergraduate admissions to UW-Madison is competitive. Freshman applicants can fill out either the common application or the university’s own online system application. All applicants must indicate a primary major or a second major to be considered if there are no spots available in the applicant’s preferred major. A $60 non-refundable fee must be included, although the fee can be waived for students with financial hardships. Official transcripts for high school coursework in grades 9 through 12 are required. ACT or SAT scores must also be sent directly to the school from the testing organization. Applicants will need to complete two essays, one of which must detail why the applicant wants to study at UW-M and the reasons behind the chosen field(s) of study. One letter of recommendation from a teacher, school counselor or a similar individual who can attest to the applicant’s academic ability is required. The university may also require additional documents, such as mid-year grades, course change documentation or academic performance statements. Undergraduate and graduate students from non-English-speaking foreign countries must demonstrate their proficiency in English by presenting an acceptable English language test score. UW-Madison publishes its tuition rates annually in August just before the start of the fall semester. Tuition rates for the 2019-2020 school year are expected to be $37,615 for out-of-state undergraduate students and $38,615 for international students. Wisconsin residents will pay $10,577. The cost for graduate students is $12,010 for Wisconsin residents and $25,336. All new students are subject to a one-time new student fee that starts at $200 and differs depending on what year of study one enters the university. The school also encourages its students to visit the Wisconsin Scholarship Wish Hub to apply for annual scholarships of differing amounts. The College of Letters and Sciences, of which the Computer Science program is a part, also awards annual scholarships based on student achievement and academic need. Students do not need to apply for these scholarships but are automatically considered. Awards generally range from $500 to $8,000 per year. For more information, contact the University of Wisconsin-Madison Department of Computer Sciences.